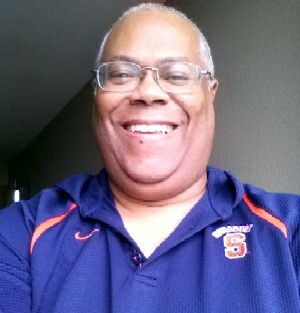 Syracuse Wiki » Do You Have Heroes? I was talking to a friend of mine a few days ago about the concept of heroes. I was saying how there were a few people who I considered as heroes in my younger life, but not anymore. That’s because every once in a while you feel let down by your hero, and it affect me negatively. It’s horrible when one’s trust is violated; trustworthiness is #2 on my morality list. 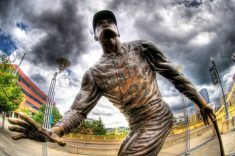 One of my first heroes was Roberto Clemente, who played for the Pittsburgh Pirates for almost 20 years. He was a great baseball player, only the second man to ever be elected to the Hall of Fame before the five year period ended. Many of you may not know this story now, but Clemente was killed on December 31, 1972, while flying on a mission of compassion to try to bring food to people in Nicaragua who were starving after a massive earthquake had decimated the country. He was personally going because word had gotten to him that those in power were confiscating food and other items before it got to most of the people and he was going to make sure the people got food. He was probably the only man in the world at the time who could have gotten the job done, as he was greatly admired throughout Latin America, not only for baseball but for charitable acts, especially in his native Puerto Rico. He wasn’t a selfish man. Almost 45 years later, his legend has held firm, and there’s not a single person who can find a scandal in his background; this man was a true hero, and paved the way for other Latin American baseball players to become stars in this country. Another hero of mine is Muhammad Ali, who passed away in 2016. At one point in his life he was the most famous person in the world; there wasn’t anywhere he could go where he wasn’t recognized. He was probably the most hated and loved man at the same time in America because of his religion, his religious stance against being drafted into the Army during the Vietnam War period, and also because of race. 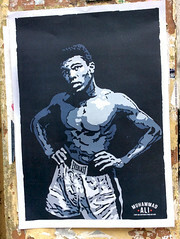 He may have only been a professional boxer to some, but that didn’t matter. He stood for so much more than that, from standing up to the United States when they tried to draft him into the military, which the Supreme Court ultimately agreed with, to taking on all comers in the boxing world, becoming the first person to win the heavyweight championship 3 times, and through his later years, the grace he showed dealing with Parkinson’s disease. Ali was also a flawed man. He had a weakness for women, and cheated on his wives. But he wasn’t a politician, and he wasn’t an overly intelligent man, even though he had a gift of gab. He was a regular man, trying to live his life and do his job, and basically wanted people to accept him for who he wanted to be. And he made me, as a young man, proud to be black and proud during a period of time when it took guts to say that, helping to bolster the spirit of a freshman college student who happened to be the only minority in his dorm in his first year, the only poster of a living person that student ever had on his wall, and being a constant reminder that all it takes is guts and perseverance to accomplish anything. Hero number three… I’m not mentioning him by name. He’s been a polarizing figure throughout his entire career, and is still alive. There’s always been the public face that some, including me, found fascinating and inspiring. The other side, once I really opened my eyes, was troubling and disappointing. I always ignored that part because he represented what I wanted to represent. I remember seeing him in person back in 1988 here in Syracuse, and being made to feel great immediately on what at the time seemed to be one of the worst days of my life. Then, within minutes, he’d found a way to ruin the mood, yet I still stuck to the dream. Then I realized that there were way too many examples of great words not being backed up by action. Too many questions about impropriety and deceit, finances scrutinized and exposed as troublesome, and then putting himself into a position as a moral authority only to have it shattered within a couple of years… that was too much for me to continue believing in heroes I didn’t know; I’ve never believed in anyone like that again. Fallen heroes hurt our feelings. Fallen heroes make us feel like fools. It’s not that fallen heroes aren’t allowed to fail, to be shown as being just like us, that’s troubling. It’s that sometimes they give us this impression that they’re more than us, or at least we believe they are. When we feel betrayed it’s a hard pill to swallow. Heroes aren’t always famous though, and that’s where it might apply to us. Parents are the heroes of their children automatically, but sometimes parents aren’t ready to live up to the responsibility. The same goes for people in leadership. They may not see themselves as heroes, but one of the definitions in Merriam-Webster for “hero” is ‘the central figure in an event, period, or movement’. What leader hasn’t had to face something like that at some point in their career? I wonder how many people in and from the Syracuse area are considered heroes by someone. I wonder if you’re someone’s hero; what say you?